At Maccaferri, we are particularly attentive to the challenges that our Far Eastern counterparts at design and construction companies are facing. Today we are helping prominent building contractors in the Far Eastern Region to address their engineering challenges. During the construction process, experts are commonly challenged by the need to develop infrastructure in areas with complex geological conditions. The Far East is one such zone. The region’s high seismic intensity coupled with geological hazards requires engineering protection of infrastructure facilities. Pursuant to the Federal Target Development Program for the Far East for the period up to 2025, a substantial proportion of resources are allocated for the enhancement of the region’s transport infrastructure. In order to support the necessary flow of freight and passenger traffic, the plans call for the construction of new roads, bridges and overpasses, as well as the modernization of existing infrastructure facilities. When constructing road facilities, the challenges that must be overcome include how to construct suitable reinforced road embankments while mitigating the hazards of rockfall. Our engineers have been engaged in a number of transport infrastructure projects in the Far East that have embraced effective solutions for gravity and reinforced soil retaining walls. Soil reinforcement products like Green Terramesh® and MacWall® are in demand in the region. 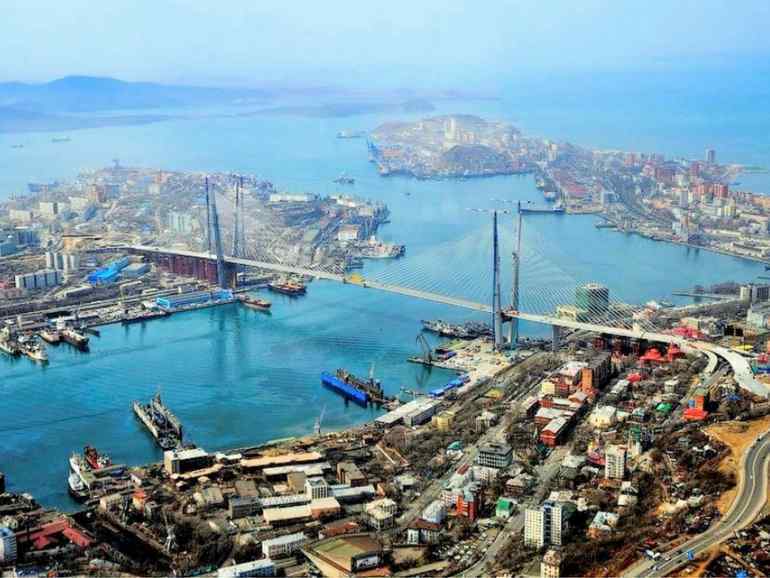 For example, the modernization of the port of Kholmsk, Sakhalin, included a number of soil reinforcement projects. This innovation delivered considerable cost reductions, due to the fact that dredge spoils are reinforced with geogrids, enabling them to be reused as construction materials instead of being disposed of. Engineering protection on the Ogonki-Nevelsk federal highway in the Kholmsk District (Sakhalin Region) turned out to be an exciting rockfall and landslide project. The road runs across a mountainous region in the South of the island. Every year, there were snowslides and cobble stones rolling down from the top of the mountain to the highway. The designers decided to reinforce the slope with our high-performance rockfall mitigation drapery system, Steelgrid® HR150. The control of soil erosion is still of crucial importance when protecting slopes adjacent to infrastructure. To this end, our engineers have developed an effective anti-erosion geomat, MacMat® R, which stabilizes the embankment slope and provides immediate protection against rainfall fun-off. It features a strong polypropylene fiber 3-dimensional matrix, reinforced with double twist steel wire mesh, integral within its structure. Our specialists hope that their Far Eastern customers will appreciate the advantages of MacMat® R in their future projects. Maccaferri Gabions CIS, LLC manufactures geosynthetic materials and products from double twist mesh at our factories in Zaraysk (Moscow Region) and Kurgan. Our warehouse in Artem allows us to offer products from our own manufacturing facilities to our counterparts in the Far East at the best prices, while our engineering capabilities enable us to support design centers at the design stage, allocate specialists for supervising or other supervision during the construction phase. For more information on these solutions and more, please contact us.